Are you looking for activities and projects that will instill real-world problem-solving skills and model the creative decisions of an actual industry? Consider creating a film project with your class. There are many roles that students can play in the production of a short film, making for a meaningful learning experience. Students can take on a roles suited to their interests and collaborate as a part of a team in a problem-solving environment that results in a finished product. Students will have the chance to become creators, thinkers, and crafters of a story for the screen. This article provides an overview of the benefits of digital storytelling and the film production process. Digital storytelling can be used in education in many different ways, and films can be made about anything. Allowing students to create stories provides a sense of agency and ownership that can inspire a holistic research process, regardless of the subject matter, where students are learning material for their story in a natural, contextualized manner. Teachers might enjoy writing their own stories initially to model the process, then asking students to create their own. 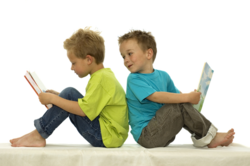 The process of story writing can capitalize on students’ creativity as they begin to investigate and tell stories of their own, as they learn to use different resources like the library and the Internet to find content. Digital story creation may also develop more advanced communications skills, by allowing students to learn to better organize their ideas, ask the right questions, express their opinions and individuality more openly, and construct narratives that will connect with their viewers/classmates. When digital stories are published online on resources like YouTube or Vimeo, or whichever platform teachers select, students have the opportunity to share their work with their peers and gain valuable experience in critiquing their own and other students’ work. These kind of activities are critical for the development of emotional intelligence and social learning as well. There are five main steps in the filmmaking process for classrooms: Writing/Research (which is usually wrapped up into Pre-production, yet gets a greater emphasis for instructional purposes here), Pre-Production, Production, Post-Production, and Distribution. What is the main point of the story and what is the perspective of the author? A key question that keeps the viewer's attention and will be answered by the end of the story. Serious issues that come alive in a personal and powerful way and connects the audience to the story. A way to personalize the story to help the audience understand the context. Music or other sounds that support and embellish the story. Using just enough content to tell the story without overloading the viewer. The rhythm of the story and how slowly or quickly it progresses. The ideas can be written simply as a series of visual explanations for the simplest of stories, to a properly formatted screenplay if deemed necessary. Google Docs has an Add-On that helps called Screenplay formatter, and the Writer’s Store has a good overview of the screenplay format as well. Pre-Production is the planning stage, where students take a screenplay and map out what it will look like using tools like storyboards. Storyboard That is not only a great digital storytelling resource on its own, but it can be a useful, free tool in this stage. Students are assigned roles, and organize the list of tasks and deadlines. School Video News has a great listing of the production roles and how to assign them, modified for classroom use. In this stage, students start filming with lights and cameras, gathering images, as well as audio. Where you get your film equipment could be your school's multimedia facility, or borrowed from the district, if possible. Some nonprofits provide film equipment as part of their initiatives to promote digital literacy, so check local resources as these are not usually nationwide. The production stage aids in the development of digital literacy skills—which includes knowledge, skills, and behaviors involving the effective use of digital devices such as smartphones, tablets, laptops, and desktop PCs for purposes of communication, expression, collaboration, and advocacy. It also teaches students how all the planning pieces, such as the screenplay and the storyboards, come together. The goal is for the team to work together toward a cohesive vision. This is the editing phase, when all the filmed scenes are put together with editing tools like iMovie for Mac, or Lightworks, in a way that gives the movie sense and meaning. It's where students add the audio with tools like Audacity, and other elements like animation and special effects, if desired. Student filmmakers put themselves in the viewers' shoes in this stage, and ensure that the vision or goals are met. If students have planned on showing their movie to peers, this is where they learn about promotional activities such as public relations, advertising, and distribution. Social sites that publish films like YouTube and Vimeo are easily accessible, and can help in gaining more viewers. Pitching their work, selling their idea, and promoting themselves are essential skills in the entertainment world that this models. 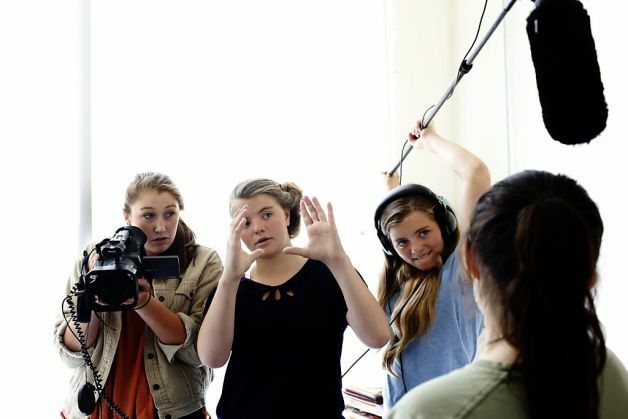 If the time or resources for a classroom film production are not available, there are countless after-school clubs and programs around the country that allow students to undertake the filmmaking process. As technology becomes more ubiquitous and accessible, with countless digital tools at educators fingertips, it is possible to create the magic of digital storytelling even with a smartphone and a laptop, because the foundations of storytelling remain the same.